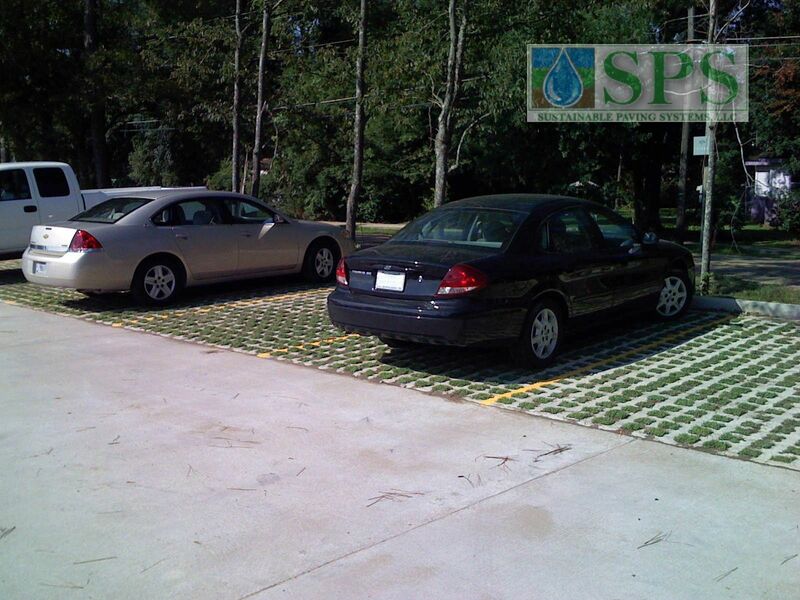 Contractor, Bomanite of New Orleans worked with the Louisiana Army National Guard and HMS Architects to provide the best pervious concrete system for the parking lot at the new National Guard Covington Readiness Center. the guard hopes the 30,000-square-foot center, built on 3.4 acres on North Columbia Street, will be an asset for the community, said Maj. Gen. Bennett Landreneau, head of the Louisiana National Guard. “We want the community to know that this facility is open to them as well,” Landreneau said, noting the units represent and get their support from the community. Noting the center’s proximity to the parish fairgrounds, Landreneau said he was sure it would be “well-utilized” for both military and civilian events. The Readiness Center is one of about 15 projects in Louisiana that were funded after Hurricane Katrina to increase the ability of the National Guard to respond to disasters, Landreneau said. It is the first of the projects to be completed, he said. The center, which includes classrooms, a fitness room, kitchen, recruiting center, family support center and weapons vault, can also be used as staging area in case of disasters, said Charles Montgomery, lead partner with HMS Architects of New Orleans, the firm that designed the building. “This will be able to withstand nature’s worst,” he said. At the same time, the building will be LEED certified, meaning it meets certain standards for energy efficiency, Montgomery said. 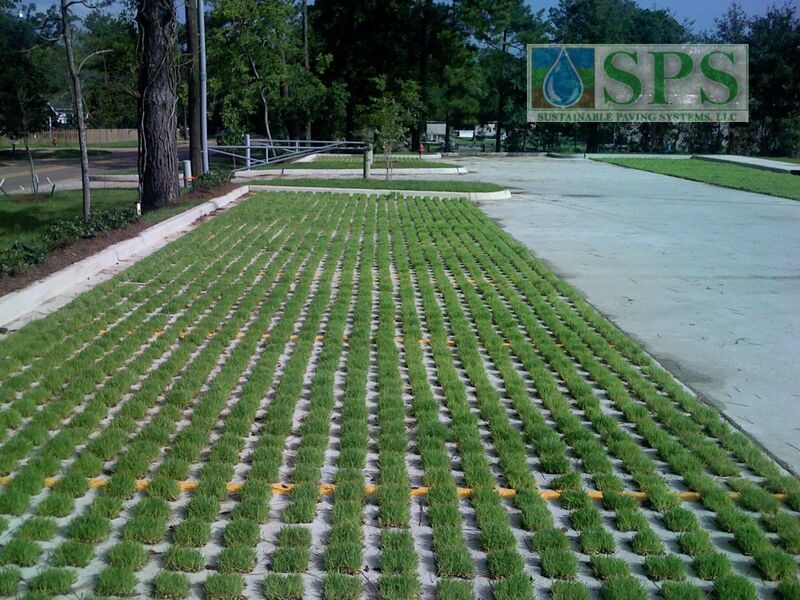 The Grasscrete System was selected for the project due to it’s LEED characteristics. Grasscrete Molded Pulp Formers were utilized for this project providing sustainability with their 100% recycled content and ability to degrade over time into the sub-soils. 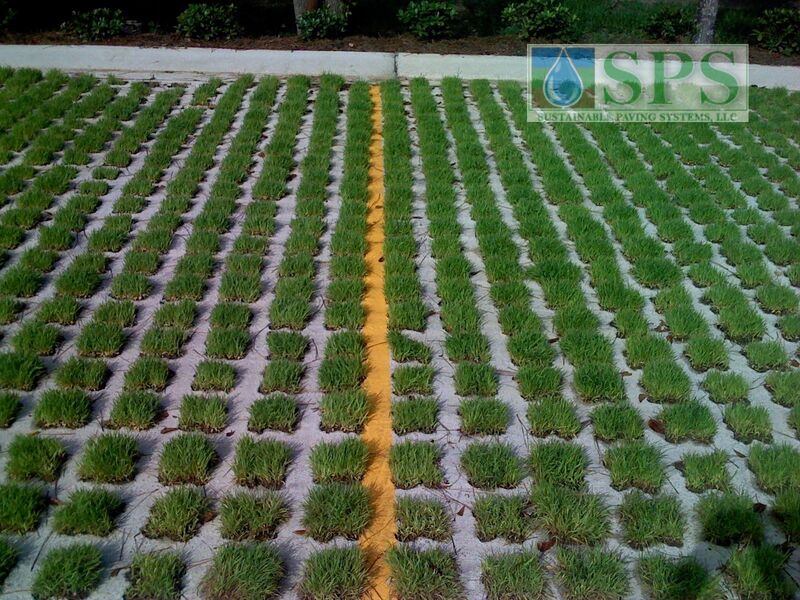 The selection of a Grasscrete System is one of the easiest ways to achieve LEED points due to the reduction in heat island effect, management of storm water runoff, recycled content used in the application process as well as the concrete and sub-base, the long lifespan and the low maintenance required. 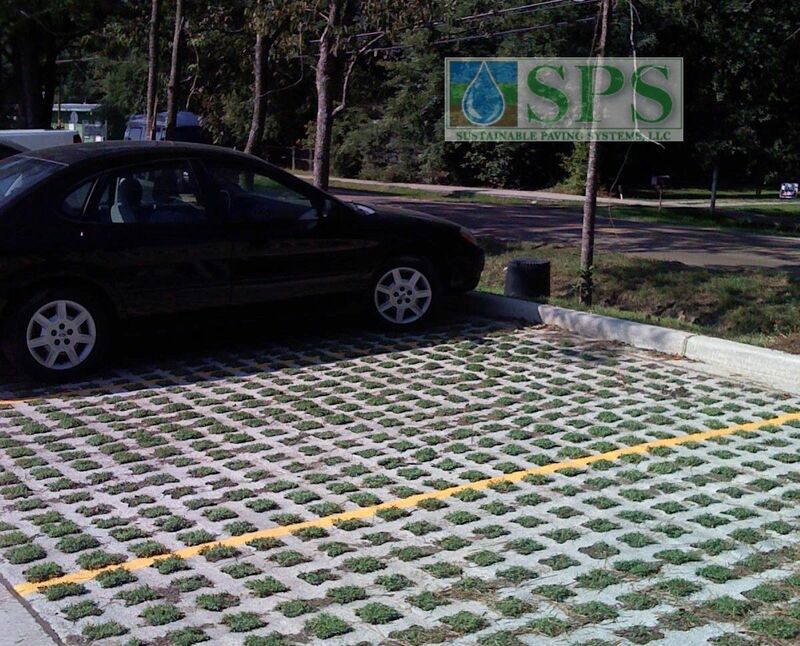 Grasscrete Systems are highly sustainable with a very low life-cycle cost and the ability to be completely recycled and used in a future project.